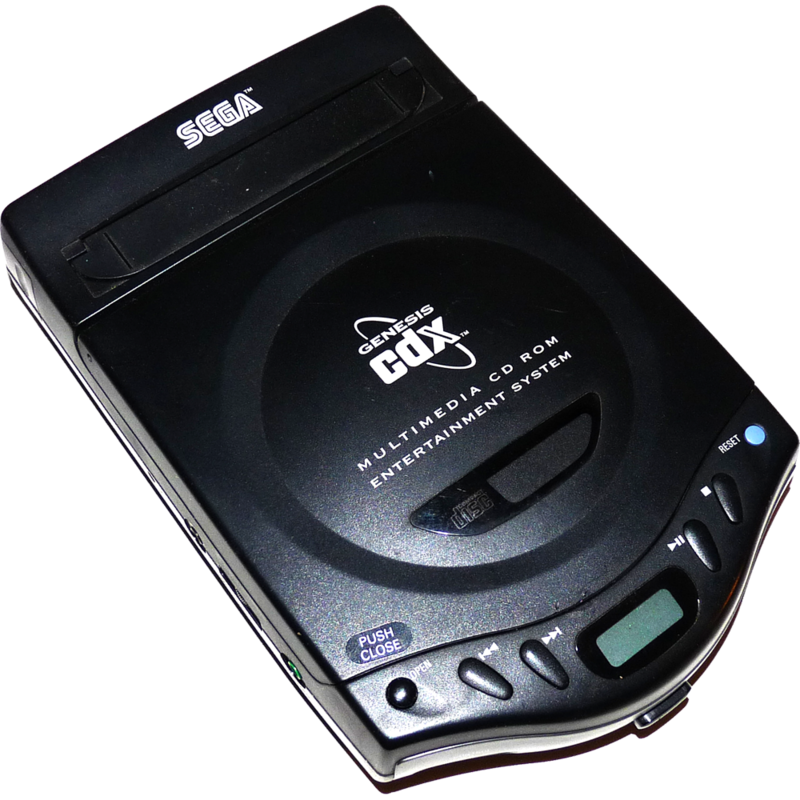 The SEGA CDX was released in 1994 and is the cream of the crop when it comes to SEGA systems in my book. This thing is a beauty to behold. When you hold it in you hands, you can tell you’re holding a nice piece of hardware. It is heavy and feels well constructed, and if you ever open it up (which you should NEVER do) you will see that the same quality appears on the inside as far as construction is concerned. It is bristling with ports and buttons on all sides. 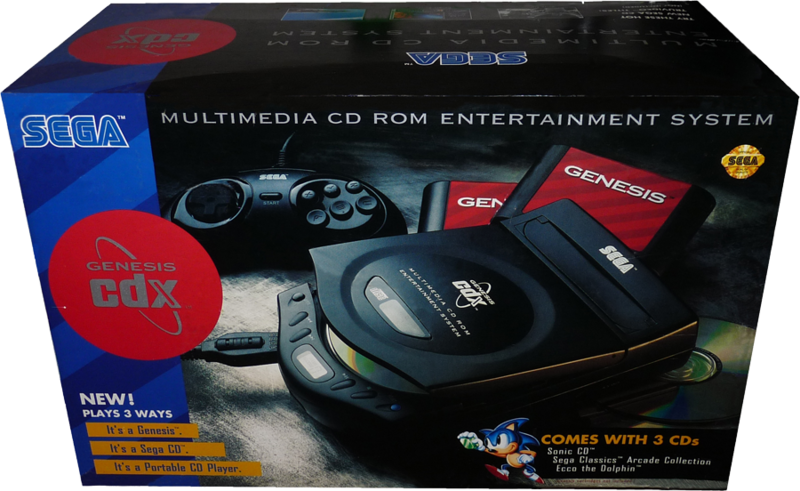 It plays SEGA Genesis, SEGA CD games and music CD & CDGs. 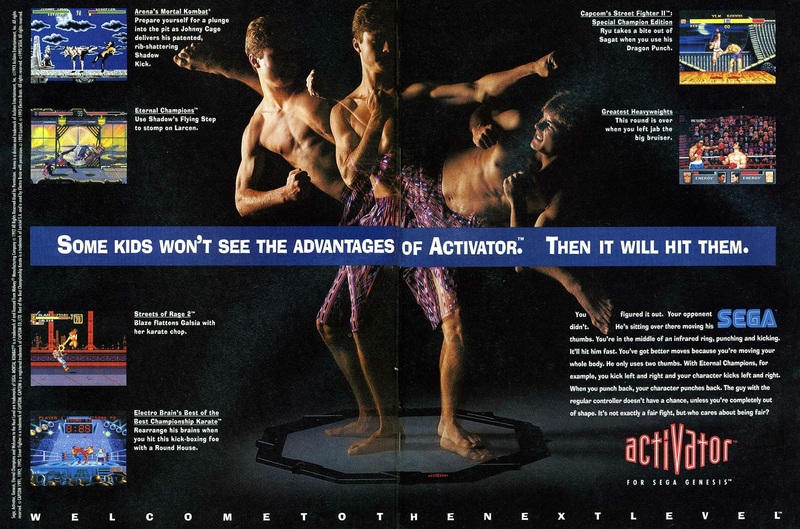 It’s basically a portable SEGA CD / Music player, but I would love to see someone jogging down the street with this thing strapped to their hip! I never had one back in the day. I do remember however seeing the box in Toy R Us, which I believe was the only chain allowed to sell the unit. 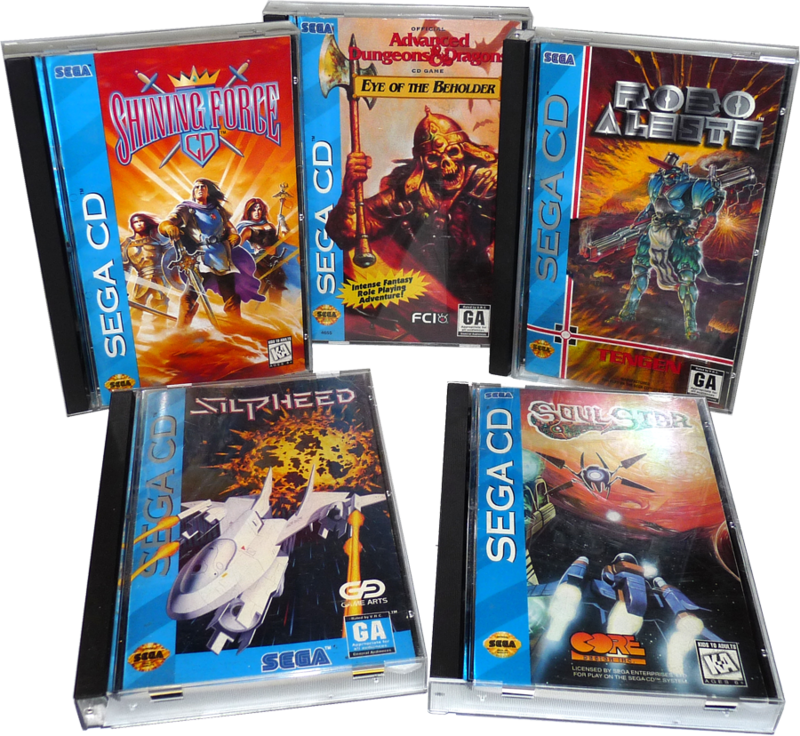 It was released at the end of the SEGA CD era, and was discontinued along with the SEGA 32X as the SEGA Saturn was on its way. I have had may units and they are all the same. I don’t believe there were any major modifications ever made to the unit. 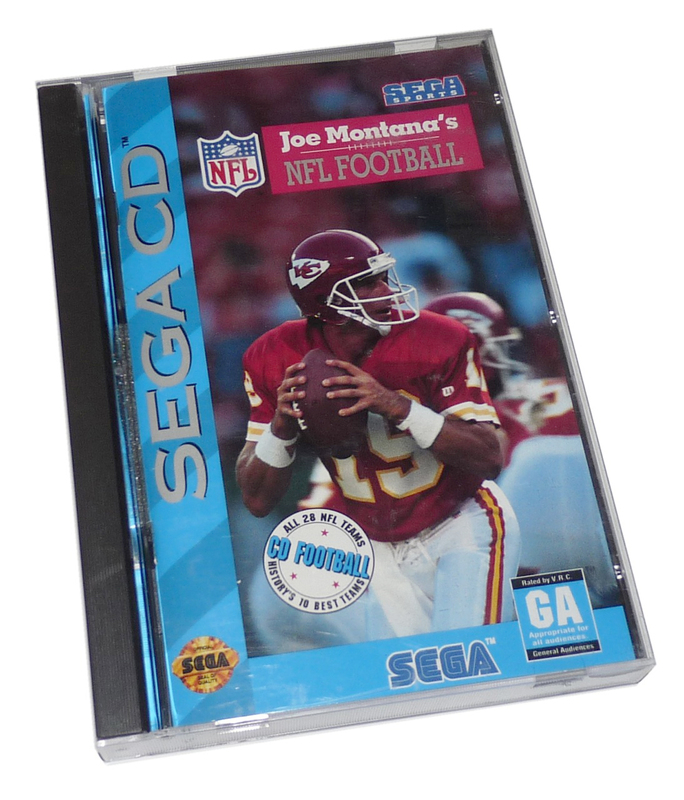 As it was only around for about a year and is basically itself a revision of the SEGA CD. But instead of putting it on the CD page, I thought it deserved its own page. As mentioned above this thing is a beauty. 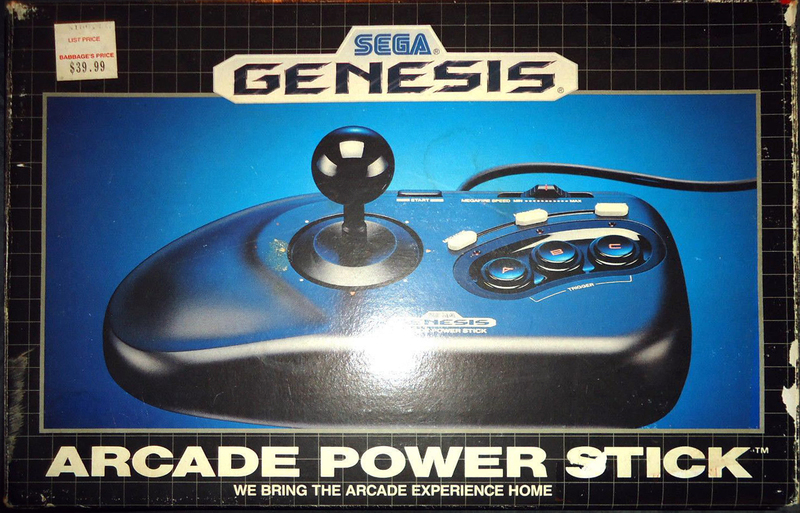 Starting on the front of the machine you have two standard SEGA Genesis controller ports. Between the controller ports is power button. If you need help hooking this baby up visit our HOW TO section. Open button – to open the CD tray, which you close manually. Play / Pause button – again used for controlling the music CD functions, not games. Stop button – that’s right… it stop the music from playing. 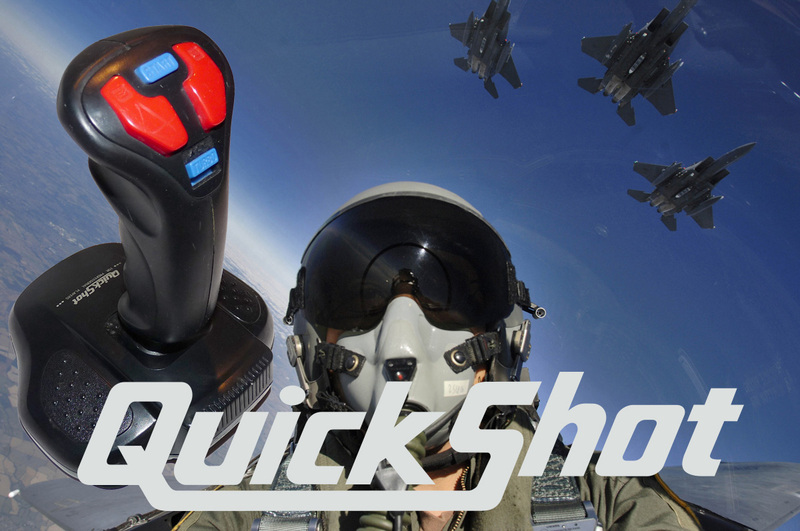 Reset button – This functions like the reset button on the SEGA Genesis. It will restart a game as if it were reinserted. 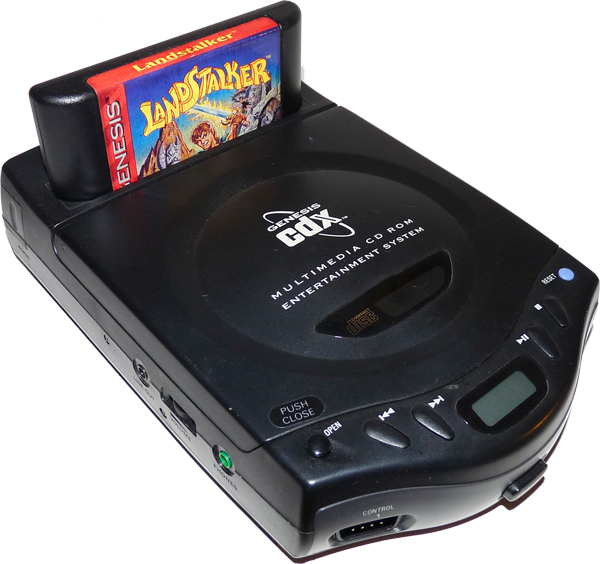 On the left side of the SEGA CDX you have a headphone jack, a volume control for the headphone jack and then and audio out to run the sound to your home stereo system. Also on this side is the tab to open the battery compartment. Note: The system can operate using two AA-Bateries, but will only play music CDs this way. You can not play cartridge or CD games using the batteries, the system must be plugged in to do so. NO OTHER SEGA POWER SUPPLY WILL WORK WITH or SHOULD BE USED WITH THE SEGA CDX! 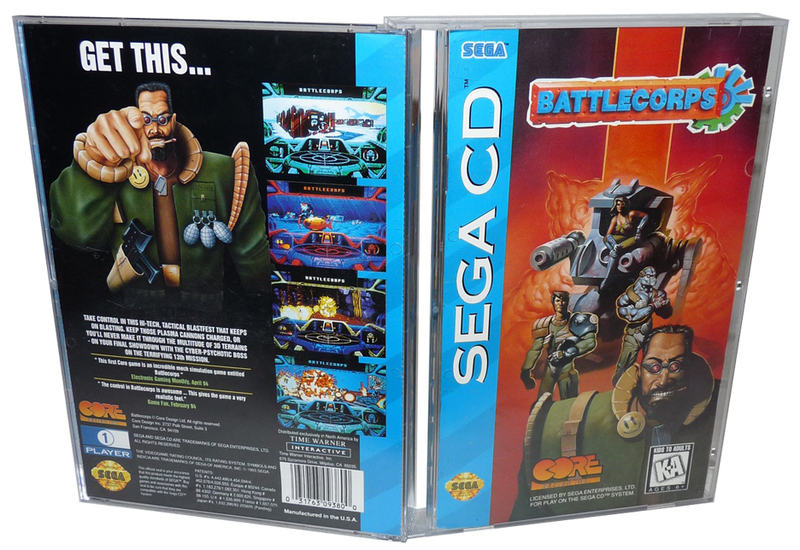 And finally, on the right side of the SEGA CDX we have the AV OUT port. 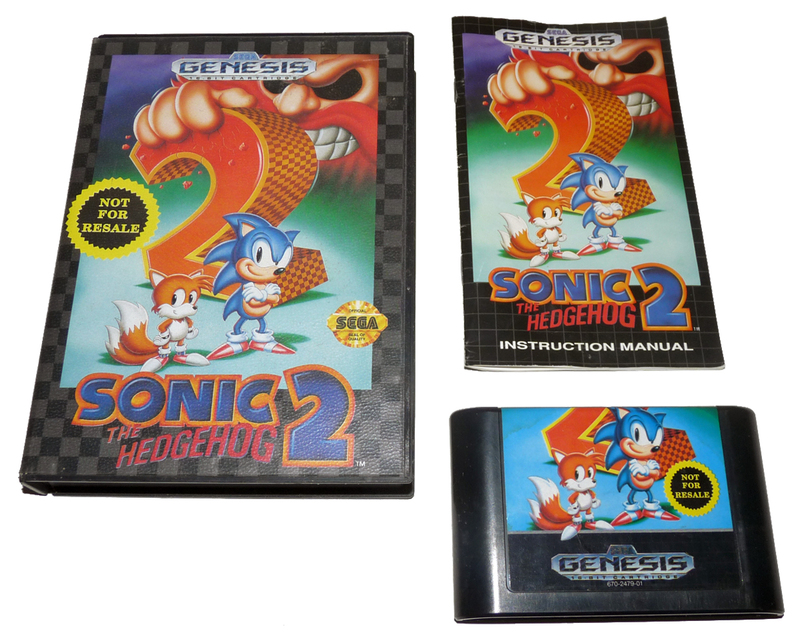 This uses the same SEGA RCA Cable that the SEGA Genesis 2 and SEGA 32X use. Because of it’s rarity this is an expensive system to collect. But honestly it was $400 when it was released and you can find them for about that price now! So it mearly held its value! If you do try and aquire one, make sure it has the original power supply. The Genesis 2 power supply (MK-2103) will fit and turn on the system, but causes problems when trying to run the CD. DO NOT DO IT! 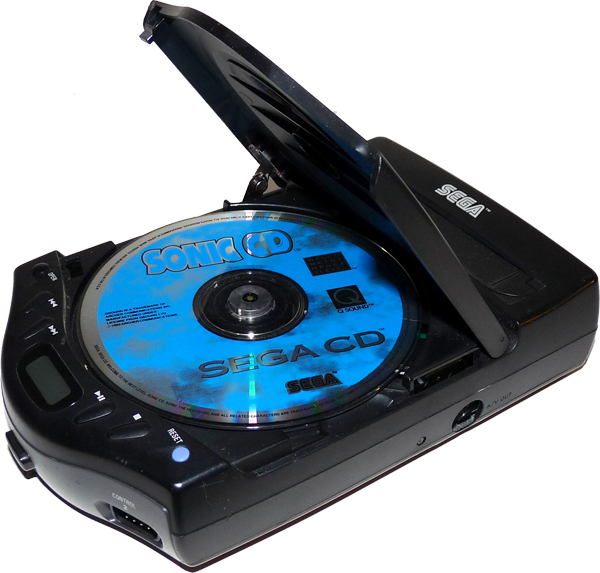 The SEGA CDX came packed with the SEGA 6-Button Controller. 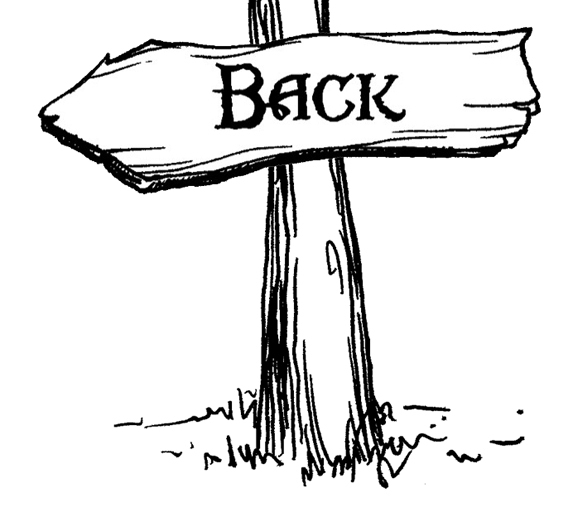 NOTE: There is a button located on the right shoulder. This is a MODE button for a few games (ones made before the controller was) that did not work with the 6-button controller was used. Holding this button down and then turning on the system and waiting for the game to load will make the controller function like an original 3-button controller. 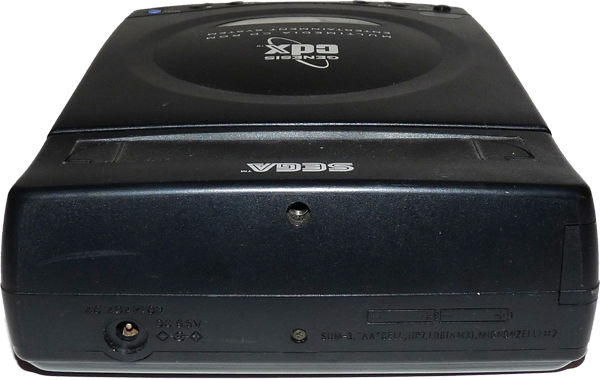 Even though the SEGA CDX included the 6-button controller, the 3 button controllers will work fine on it. 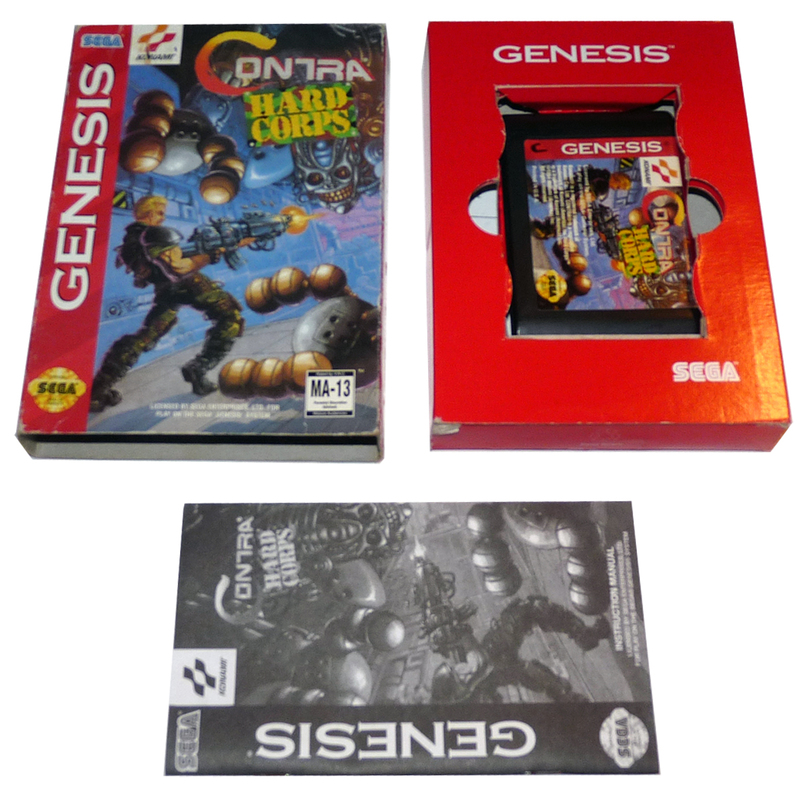 The SEGA Genesis is a cartridge based system. 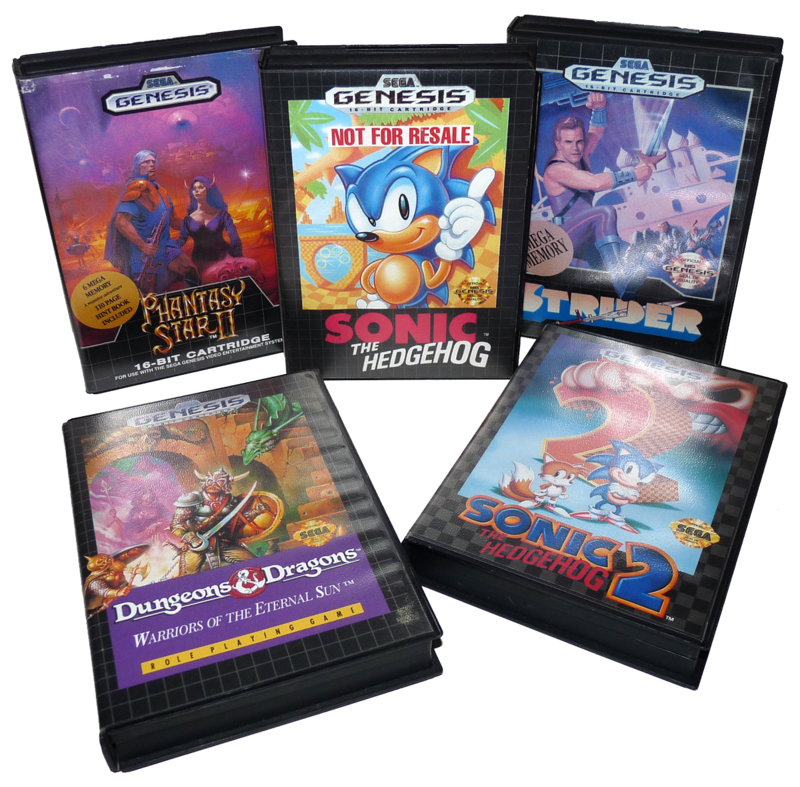 For most of the Genesis’ life the games came in a plastic box, with clips inside that held the cartridge. There are normally also tabs on the inside front that held the manual in place. 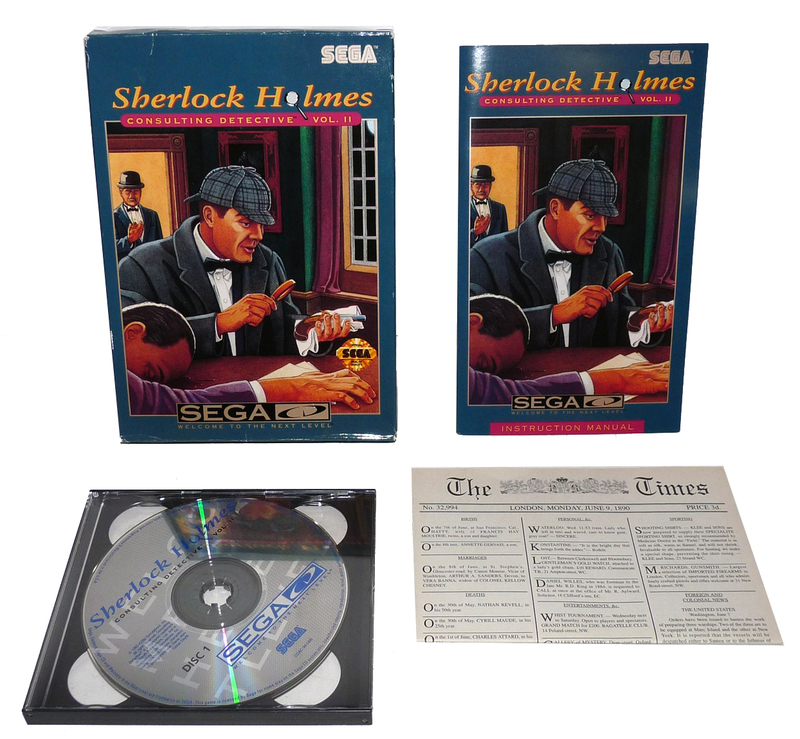 These are the same boxes that were used for the SEGA Master System.